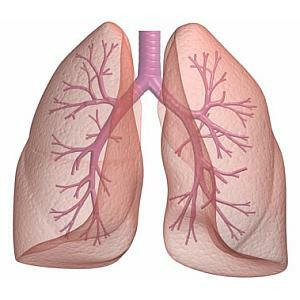 Bronchial Asthma is one of the most common among all the types of Asthma. Bronchial Asthma mostly manifests in the lungs and hence the person suffering from it shows some initial symptoms such as sneezing, chest congestion and so on. A person suffering from this type of asthma finds it difficult to carry out the day to day activities as the person gets tired easily and can even have an asthma attack. In such a case, it is necessary for the person to know the various treatment options that help to get rid of Bronchial Asthma. There are many Ayurvedic remedies that help to get rid of this type of asthma. Along with these Ayurvedic medicines, a healthy diet and a healthy lifestyle can also work wonders in treating a patient of Bronchial Asthma. For a person suffering from this disease, it is better to eat light food. Also, foods such as dry grapes and pulses can also prove effective in getting rid of the asthma as early as possible. The person suffering from this type of asthma should completely stay away from smoking and drinking beverages such as tea and coffee. The patient should also avoid exposure to cold water for a prolong period as is the case in rains and should avoid engaging in any kind of rigorous exercise that would lead to exertion of the body. My daughter 4years and my son 1year both have really bad asthma, can you tell me how much charan parash to give them and is there any thing else i need to give them. They both have had asthma since they were born. I am 28 years old.I am suffering from bronchial asthma from past 12 years.Now I have started taking Oscimum Tenuifolium leaves with honey daily twice.Will I be successfull in treating the disease? U HAV TO BE THOROUGHLY INVESTIGATED……THEN ONLY U SHOULD START WID TREATMENT…..
i am 32 years old,now dr said i am a pasent of bronchial asthma.i am very affaried.which things i get to help discreasing sneezing——–like chyavanbrash,honey. It is very effective. I have not had a problem in breathing since then. Hello, Doctor my Father is suffering from Asthama and Doctors are telling that his lungs get weak for any operation ,He already has suffered one Asthamatic attack ,this is the second time he suffered from asthmatic attack. I want to further discuss about the same ,Kindly reply me to contact. I made (In December 2014) Asthma Medicine with herbs in Ayurveda+Astrology. Use ONE-PINCH Drug per day with warm TON MILK. Relief will begin a day or two. For complete relief will be use upto 28 days. Permanent relief in 60 days full life. It drug is full success in India for asthma. Note: Avoid rice in the diet. In India living 142 patients with complete relief. Note: Free (Encluding postal charges+15 days) for asthma drug sample send me the address. I am from Assam. My son aged about 13 years is suffering from bronchial asthma since his aged 01. Firstly he suffers by cold fever and it becomes for bronchial asthma. It is a allergic problem. Kindly help me.